After a political career lasting almost 70 years, impressions of Shimon Peres remain mixed, especially in Israel… and for good reason. In July 2014, just before the end of his presidency Peres tried to combine his desire for peace with his support for the war in Gaza against Hamas. “Obviously we weren’t interested in any wars. We don’t consider the people of Gaza as our enemies. I know, I saw also the pictures which are coming from Gaza. They are terrible. But one that can stop them are the people themselves, are the people of Gaza, are the terrorists,” he said. A few days later, Peres – who was the world’s oldest head of state – stepped down. It was the conclusion of a career which saw him become prime minister three times. Born in Poland in 1923, he moved with his family to British Palestine 11 years later. In 1947 he joined the Haganah, the Israeli defence forces where David Ben-Gurion promoted him. He was made responsible for arms purchases. In 1952, he became director of the Department of Defence, entered into a tri-national agreement with France and the United Kingdom and established the Dimona nuclear reactor. A member of Golda Meir’s government, he directed the withdrawal of troops from the Sinai Peninsula as defence minister in 1975. With his chief political rival, Yitzhak Rabin, Peres led negotiations resulting in the Oslo Accords in 1993 creating a surge of hope for peace in the region. The following year, the three protagonists of the Accords were awarded the Nobel Peace Prize. Peace in the Middle East it seemed could be in touching distance. One year later, on the evening of November 4, any talk of peace was shattered when during a meeting in Tel Aviv, Rabin was assassinated by an Israeli extremist. 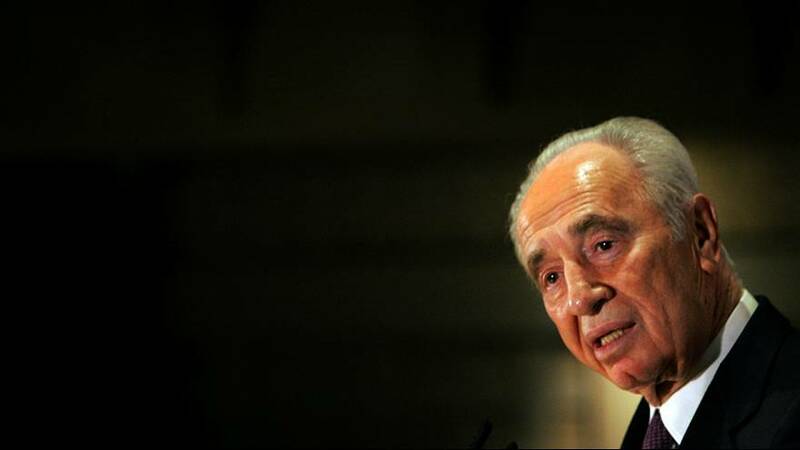 After serving as acting prime minister for seven months, Peres was narrowly defeated in 1996 by Benjamin Netanyahu during the first direct elections in the country. In 2005, he surprised everyone when he left the Labour Party to join the new party, Kadima, founded by Ariel Sharon, his political opponent but close friend away from the rigours of politics. When Ariel Sharon suffered a debilitating stroke Ehud Olmert became prime minister and Shimon Peres served as his deputy. In July 2007, Shimon Peres was sworn in as the state of Israel’s ninth president. He had been elected by the Knesset during the second round of voting. It marked the first time in the nation’s history that a former Prime Minister was later elected as President capping a long and distinguished career. In June 2014, on the invitation of Pope Francis, Peres was invited to the Vatican for a day of prayer with the Palestinian leader Mahmoud Abbas. It was an opportunity to revive hope of peace in the Middle East, while negotiations remained blocked. Following the prayer session he said: “Peace does not come easy. It calls for sacrifice and compromise. Without peace, we are not complete. We have yet to achieve this mission of humanity”.